NIS America has announced the western release date for SNK Heroines Tag Team Frenzy, the 2v2 all-female crossover fighting game coming from SNK. The game is now set for release on PS4 and Switch in North America and Europe on September 7, 2018. In addition to the release date, the announcement also included a new character coming to the game. 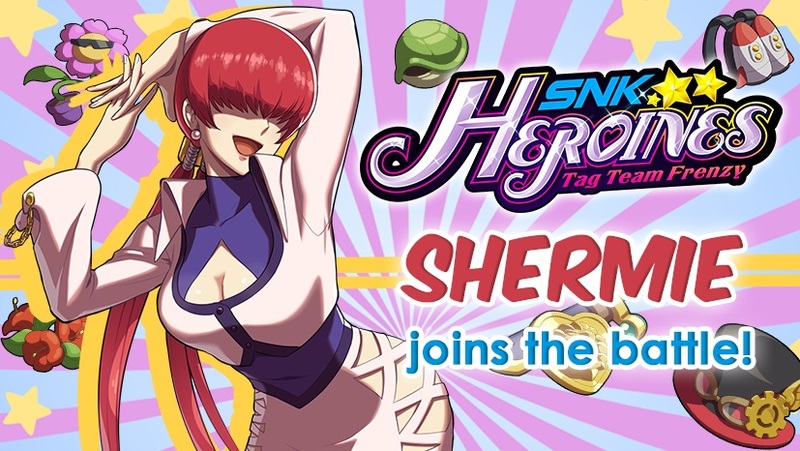 From her first appearance in The King of Fighters ’97 comes Shermie, bringing her usual fighting style into SNK Heroines. She has a variety of grappling moves, and her Dream Finish is called Inazuma Leg Lariat. Shermie joins the other six characters who have been revealed for the game so far, and based on the image at the end of her trailer and on the official site it looks like there are seven more to be revealed before the game releases in September.